Michael Devlin's early goal hauled Hamilton three places off the bottom of the Ladbrokes Premiership after they withstood an onslaught against Aberdeen. 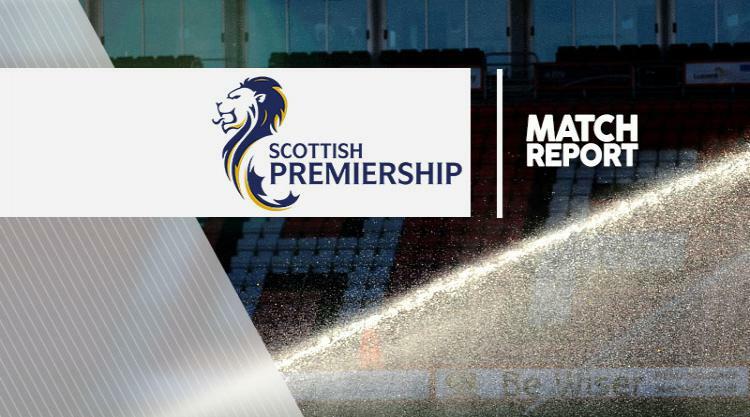 Devlin volleyed home from a ninth-minute set-piece and Accies survived some sustained and intense pressure as Aberdeen missed more than a dozen noteworthy chances. The Dons, who were without Jonny Hayes because of a hamstring injury, squandered the chance to move 12 points clear of Rangers in second place on another frustrating night at the SuperSeal Stadium. Two of Hamilton's four Premiership wins this season have now come against Aberdeen and, just like their earlier triumph in October, this ended a long winning run for their opponents, this time a five-match stretch. The goal came from Danny Redmond's free-kick from inside the centre circle. Devlin got his foot to the delivery ahead of Ash Taylor and hooked it into the corner of the net from around the penalty spot. Aberdeen's bombardment began almost immediately. Adam Rooney was wide with a snap shot, came closer with a volley and then headed Niall McGinn's cross off the inside of the post. McGinn then volleyed well wide from a decent chance and looped a free-kick on to the roof of the net. Rooney just failed to make a decent connection with Ryan Christie's driven cross with the goal gaping and was off target with a free header before Taylor shot just over from 18 yards. The visitors looked sure to score just before the break when a corner landed invitingly for Shay Logan six yards out but goalkeeper Gary Woods saved and Andrew Considine's follow-up was blocked. Aberdeen brought on midfielder Peter Pawlett for defender Mark Reynolds at half-time and there was no let-up in their attacks with Kenny McLean forcing a save shortly before beating three men and firing over. Rakish Bingham had a shot saved at the other end on a rare break but Accies became even more entrenched in their own half. They defended numerous balls into the box and Devlin nodded Logan's header over his own bar with Woods beaten. McLean's deep cross just evaded Rooney and the back post and, when Aberdeen did manage to get the ball in the net, substitute Miles Storey was flagged offside as he knocked home the rebound from Pawlett's saved shot. Aberdeen even had a man advantage for the final seven minutes after Darian MacKinnon was twice booked for fouls on Graeme Shinnie inside 60 seconds. The visitors took their corner count to 21 in injury-time but still an equaliser evaded them.